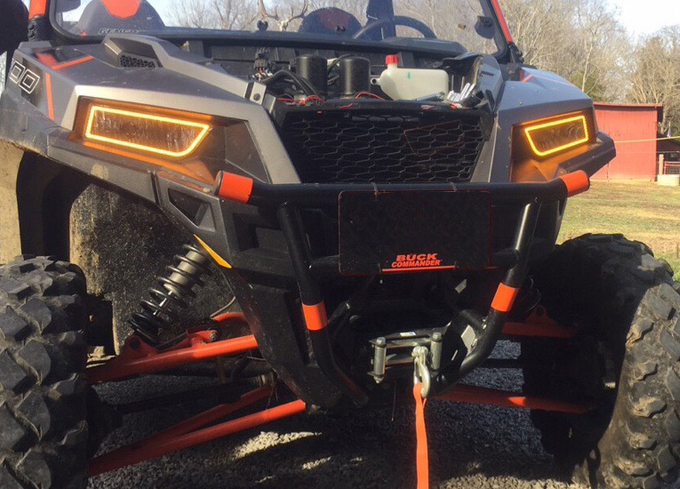 Pair of bright LED Halos for Polaris Polaris GENERAL utv Models -. Waterproof. Get them here for a great price! This Kit comes with everything you need for install - 2 Halo Rings, wiring, connectors, switch, mounting , and instructions. These are NOT replacement Headlights, but rather illuminated waterproof rings that you install onto your existing / current Head Light assembly . DOES NOT REQUIRE OPENING YOUR HEADLIGHT CASING. THESE ATTACH AROUND THE OUTSIDE OF THE HEADLIGHT CASINGS.